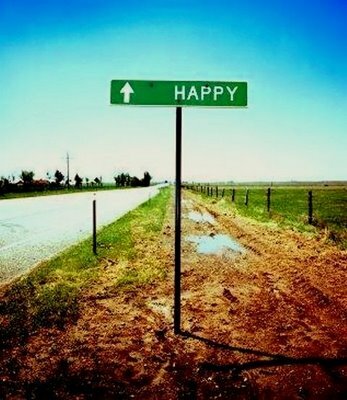 The greatest threat to the pursuit of genuine happiness and well-being is our current debt-money system. In the face of an international debt-crisis, it is remarkable that there is no serious discussion about the nature of money, or about how, and who creates our money. While meaningful conversations about alternative measures of progress (e.g. Gross National Happiness, Genuine Progress Indicators) are now under way, these efforts will ultimately fail without understanding that the current debt-based money system must be fundamentally restructured. The majority of the world’s current challenges (poverty, climate change, rising inequality, and ecological destruction) can be readily resolved by acting upon the wisdom of both our ancient cultures (e.g. Sumeria, Greece, ancient Israel), historical leaders (e.g. Jefferson, Franklin, Lincoln) and a remnant of modern economists and leaders who understand that meaningful alternatives are possible. In 2000 while working on the update to the US Genuine Progress Indicator (GPI), Herman Daly encouraged me to pursue a deeper inquiry into the nature of money and the relationship between economic growth and debt. Daly argued that because money is debt, and that collective debts grew through the power of compound interest, there was a built-in exponential economic growth bias in all world economies. Daly encouraged me to commit my career as an ecological economist to designing a new system of money creation, built on ecological economic principles that would make the old system of debt-money, interest and exponential economic growth obsolete. I envisioned and now offer a new system of sovereign money creation where money is no longer created as debt (through loans) but in parallel with the well-being needs of people, and in harmony with natural laws and ecological conditions. I call this new system Genuine Wealth. In the midst of the current slow-motion demolition of the global debt-based, economic-growth-myopic system, rarely do you hear economists or politicians locate the problem with our system of debt-money. 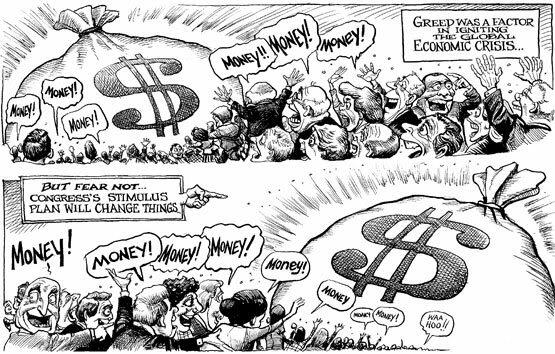 This reflects, in part, our collective ignorance of the nature of money, the role of debt-money in financing economic growth, and the reason why charging of interest on the creation of money (called usury) is an economic misdemeanor (Keynes) that ultimately leads to the collapse of civilizations. 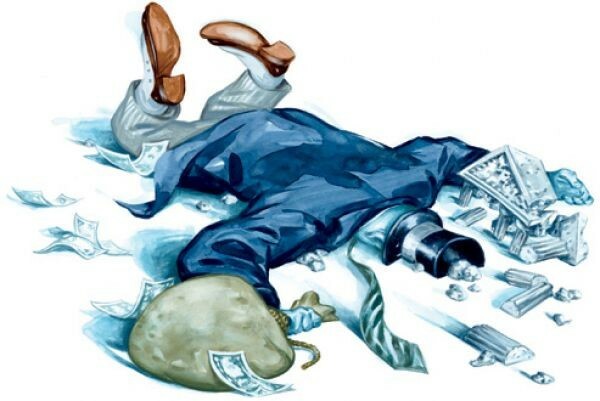 Most people do not understand that the growing mountain of public and private debts can never be repaid through more consumption, production and GDP growth; that the ultimate outcome of this debt-money scenario is systemic collapse and bankruptcy. We do not need to continue down this path of financial catastrophe but have alternatives at our immediate disposal. This will first require a collective awareness and admission of the flaws of our current debt-money system and admission that the current system cannot serve the goals of the pursuit of happiness and well-being for humanity and the resilience of the natural world. Once aware we can then imagine and co-create an alternative system that will make the old system obsolete. Only then will humanity be genuinely free to pursue a happy and good life as Aristotle defined it: Happiness results from a good birth, accompanied by a lifetime of good friends, good children, health, wealth and contented old age… and virtuous activity. At the heart of the failure of capitalism to improve the well-being conditions of humanity is the failure to understand the nature of money, the impact of fractional reserve banking in the destruction of natural, human and social capital, and the significant impact of usury (charging interest on money created) on the destruction of the human spirit. The world is currently stuck in a debt crisis primarily because it cannot imagine a system of money creation without debt money. Indeed 97% or more of the world’s money is created as debt (e.g. through loans by banks), which ultimately threatens the pursuit of genuine happiness and destroys the human spirit and hope. The pursuit of a sustainable, resilient and flourishing economy is possible only with a fundamental restructuring of the world’s financial systems where money would be created not as debt-money but aligned with genuine wealth, well-being and happiness aspirations. Thus, the proposed and newly designed global accounting and money system I call Genuine Wealth. 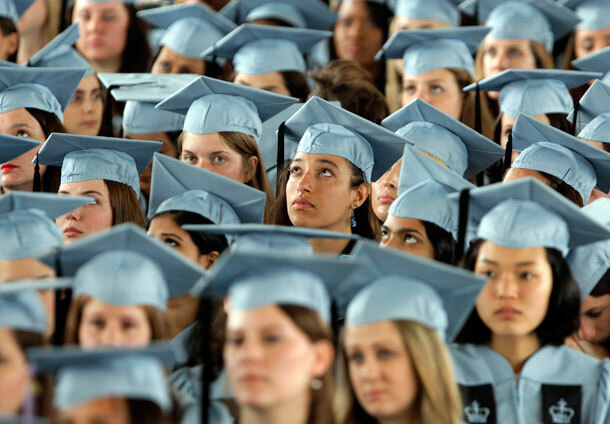 I have a dream of a world where my children and all children will live a life of enduring happiness no longer encumbered by the anxieties of mortgages, student loans and debt repayment. A world in which there is no longer debt-money, interest charges, usury and fear of tomorrow because of the belief that money is scarce. I have a dream that a new economy will be based on well-being, happiness, and abundance and resilience revealed in nature. I believe it is possible that money is no longer our master but rather serves our collective longing for happiness and joy. Imagine money being created, without debt, and in sufficient supply to facilitate the maintenance of a flourishing, resilient economy that is governed by principles that include those of ecological economics, ecological principles of abundance and resilience, and governed by the virtuous actions and wisdom, which Thomas Jefferson noted, are fundamental to a good and happy life. Imagine a day when we will measure progress in terms of returns-to-well-being and happiness from our investment of time, human potential, and nature’s assets as our most important and precious resource. My dream is for a new era of wealth and genuine wealth management; where wealth is redefined in the Old English definition as ‘the conditions of well-being.’ Money would no longer be created in parallel with the issuance of more debt (loans) but would be in parallel with the goals of maintaining or enhancing ‘genuine wealth’, the conditions of our human, social, cultural, natural and built assets that are the foundation of a happy and good life. The proposal for the development of a Genuine Wealth asset management and money system is based on what I presented to billionaire George Soros at the World Economic Forum in Davos, January 2011. 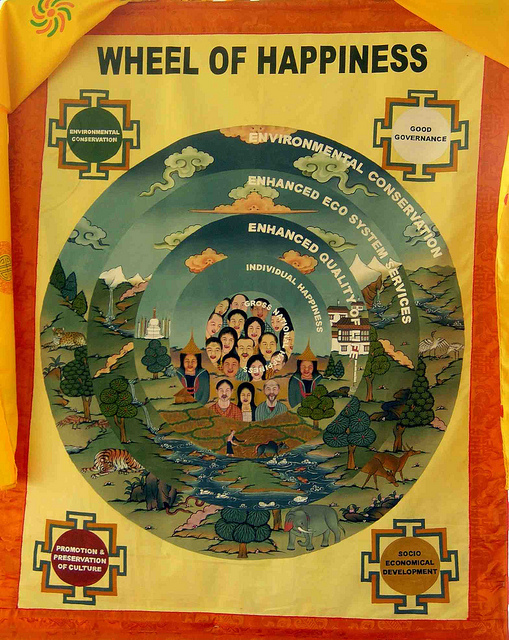 This year (April 2012), I presented a similar proposal to an international gathering in New York, hosted by the Prime Minister of Bhutan (the Buddhist kingdom with Gross National Happiness as its policy for economic development), to establish a new economic paradigm built on happiness and well-being (see Appendix at the end of the piece for statement on a new economic paradigm on happiness and well-being). Many of these can be found in my book The Economics of Happiness: Building Genuine Wealth (New Society Publishers, 2007). It has a chapter on redesigning the global monetary system that would be consistent with ecological economic principles and would be governed by a Genuine Wealth asset management system, without debt-money and thus without the need for continuous economic growth. It is a working model that could be easily adopted at any scale of governance, from local/municipal, state/provincial, national to international. Much has already been written about money and the nature of the debt-crisis we are currently facing. Authors such as Ellen Brown, German economist Magrit Kennedy, and many others have articulated the shortcomings of our money system as well as proposed alternatives to debt-money that would provide for building greater resilience into a system that is now on the verge of collapse. It is time for a complete overhaul of our national accounting systems. A new accounting system is required that will measure the conditions of well-being that make life worthwhile for humanity and contributes to genuine happiness and a good life. This requires wisdom and courage. What am I asking? The financial and human capital support to experiment with the practical implementation of the Genuine Wealth accounting system for communities, governments and business in countries like Tahiti, the Netherlands, China, Canada, Norway and other nations who have already expressed interest in taking the next step towards building economies of well-being and enduring happiness. 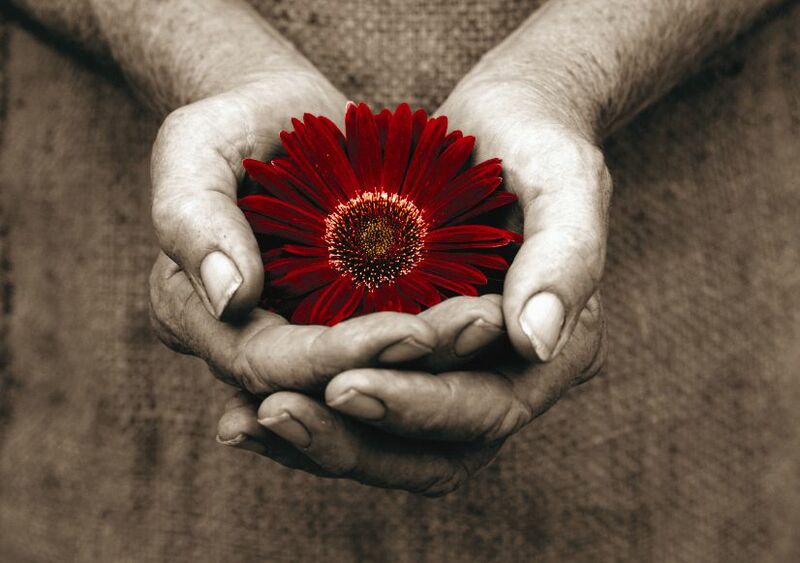 It is time for virtuous actions and a new form of genuine capitalism with a heart and wisdom. We need to make bold efforts in the restructuring of the global economic architecture, which makes the old system (born during World War II) obsolete and begins to measure and manage what matters most to people. It is possible to re-engage the minds and hearts of all humanity by designing a new global accounting system for measuring the well-being conditions that are relevant to the values of China, Russia, the US, Tahiti or Pakistan. As a professional economist, professor of business ethics, and author I have laid out a road map towards building a new accounting system for measuring and managing the well-being conditions in communities, businesses and nations. This system of Genuine Wealth literally means measuring the conditions of well-being in accordance with what we value most in our hearts. I have advised municipal and national governments and corporations in Austria, Canada, China, the Netherlands, and the US on how to implement the Genuine Wealth accounting system. It has resonated intuitively with many because of its common sense and practicality. The Genuine Wealth accounting system is a tool for communities and organizations to begin to inventory the assets that contribute most to their well-being. The indicators of well-being and progress, in order to be genuine, must be aligned with the values of a community and what citizens consider most important to their quality of life. The Genuine Wealth asset management and accounting system includes a new balance sheet that accounts for the assets and liabilities of five capitals: 1) human capital = people; 2) social capital = relationships; 3) natural capital = natural resources and the environment; 4) built capital = infrastructure; 5) financial capital = money. This includes indicators of well-being that are both objective and subjective. The system also includes a full cost monetary accounting of all public and private investment in order to evaluate the ‘returns to well-being’ that result from the investment of time and resources into improving and sustaining the integrity of the five capitals of a nation or community or business. I also envision a day, not too far off, when the creation of money could be guided by Genuine Wealth accounts at a regional, national or international scale. Imagine money created in parallel with the need to sustain the integrity of the five capital assets of nations. This would give new life to not only economics but also finance and other disciplines. The Genuine Wealth accounting is the next big and audacious idea for the salvation of economics. It would engage thousands of young economists, accountants and business graduates to redesign how we measure progress and allow politicians and business leaders to govern with greater wisdom and in alignment with the intuitive sense of citizens that the economy should enable the pursuit of genuine happiness. In the absence of complete national balance sheets that track the real wealth of nations, a new accounting system is required that can track the conditions of well-being that contribute most to the physical, mental, emotional and spiritual well-being of millions of human souls. It is important to understand the deeper mysteries of money, including the nature of money, how it is created, and why the economy has a built-in growth bias, in order to design a new economic paradigm based on ecological economic principles, well-being and happiness. We confuse money with real things; instead of a medium of exchange we treat money as a store of value. Few of us realize that money is no longer backed by anything real, whether gold, land or heads of cattle. 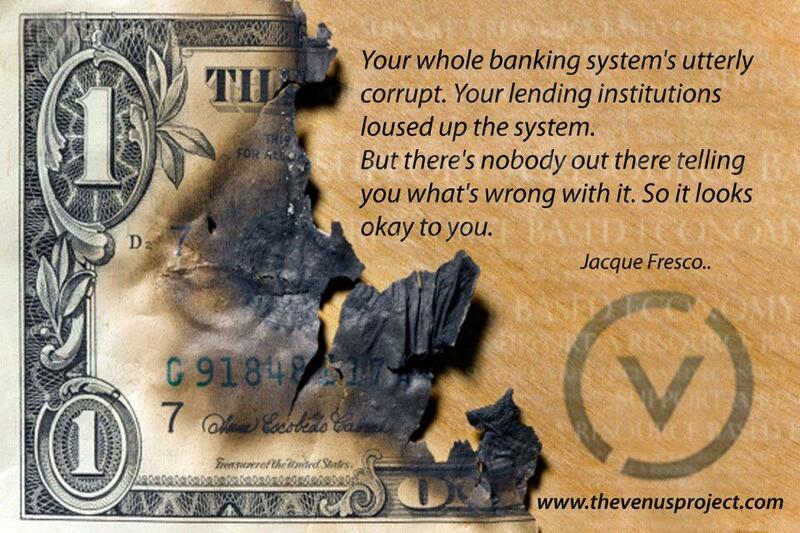 Nor do we realize that governments do not control or create money; money comes into existence when banks make loans. More than 98% of the money supply in the United States is based on interest-bearing bank loans. Therefore, by definition Money is debt. The following Figure 1 shows the growth (1950-2011) of US total debt outstanding (by definition the debt-money supply) and currency (money created by government without any interest costs). Since 1950 the total amount of outstanding debt (including households, business, government and foreign debt) has grown more than 127 times. The issue is both the rate of debt growth and the associated interest obligations. I have estimated that interest payments on the outstanding 2011 total debt of the US at $2.71 trillion (assuming an average 5.0% average interest rate on all debt). This amounts to about $8.765 in interest payments in 2011 per US citizen. These interest payments are imbedded in the costs of all goods and services in the US; $2.71 trillion in interest payments on total US debt in 2011 amounts to $0.19 on every dollar of GDP in 2011. Put another way, roughly $0.27 of every dollar of household spending in the US in 2011 was imbedded interest costs. Now consider that all of this is unnecessary in the absence of debt-money creation by private banks if the creation of money were returned to the power of the people, through state and national governments as Thomas Jefferson, Benjamin Franklin and Abraham Lincoln suggested. Figure 1 shows that over the last two years, due the financial crisis of 2008, we see for the first time a plateau or stagnation in debt money growth. However, debt-growth has resumed in the latter part of 2011. What is important about this graph is the relative small percentage of currency (government notes) created by government without cost (interest) to the public. Currency represents a mere 1.83% of total outstanding debt in 2011. What is also important is to realize that this growing mountain of debt is unrepayable from current earnings or total economic production (measured by GDP) in the economy. Many might believe that repayment of the national debt is possible through expanding the economy (more growth) but in reality the above figure demonstrates that this is impossible. In reality, the outstanding debt mountain grows and grows with increasing interest cost that will eventually result in unsustainable debt-GDP ratios and where interest expenditures on outstanding national, state and municipal debt have become the most significant expenditure in public (government) budgets. Indeed, the US has achieved a state where interest payments of the national debt (now in excess of $15 trillion) is the single largest expenditure in the federal government’s 2012 budget exceeding spending on the social services and the military. 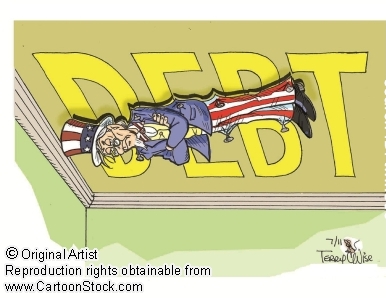 The US national debt outstanding in the first quarter of 2012 was $15,501 trillion. I have estimated that the interest payments on this outstanding debt may range from $544.1 trillion (using 5-year moving average US Treasury 10-year yield rate, 3.51%) to $781.2 billion (using a 20-year average US 10-year Treasury bond rate, 5.04%). Compared to other US federal government budget items (enacted) for 2012, interest expenditures of $781.2 billion would represent the top US federal government 2012 budget item. In comparison, $776 billion was budgeted for social security, $716 billion on national defence, $579 billion on income security, $484 billion on medicare, and $361 billion on health. By comparison the US expects to collect $1,165 billion in income taxes in 2012. So interest payments on the national debt may well represent 67.1% of projected income taxes. This suggests that if interest costs were eliminated, then income taxes could be virtually eliminated in the US. Imagine how much potential human energy and hope that would be released and available if the amount currently spent on paying interest on debts were eliminated? It could reduce the hourly work day by at least one-quarter (possibly higher in other countries with higher interest costs in the economy) and free up working capital/liquidity for investing in building genuinely sustainable economies of well-being. Figure 2 shows the explosion in the interest obligations on the US national debt. I have estimated that between 1836 (when the US was effectively debt-free) and 2011, the total amount of interest paid on the national debt totaled $11.238 trillion. However, the vast majority of this interest obligation — $9.622 trillion (85.6%) – occurred between 1987-2012. 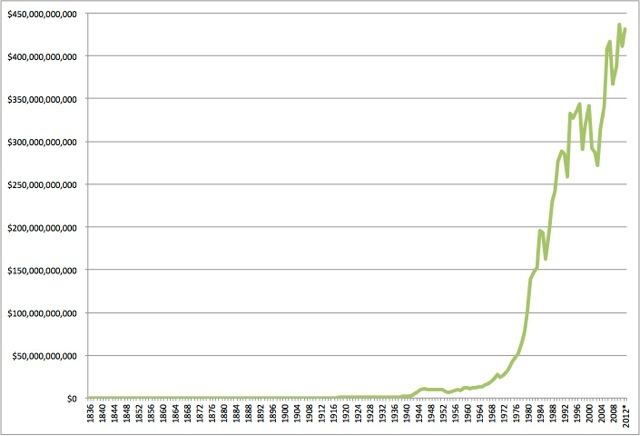 For the entire 150 year period 1836-1985, only $1.615 trillion was paid in interest charges on the national debt. The explosion of interest obligations are financially unsustainable, even if record low interest rates (US 10-year Treasury yields in 2011 were 2.78%) can be maintained. Any small increases in US interest rates would be disastrous for the US. While some European nations, including Greece, struggle with their own sovereign debt crisis, the US and every other nation faces similar interest cost pressures that are unsustainable. What about the implications to the real economy? If the unsustainable debt situation were not problematic enough, the divergence between growth of the real economy (as measured by GDP), the financial markets and debt-money is more problematic. Between 1950-2011, the US GDP grew by 51.4 times (in current dollars) or 6.6 times (in 2005 constant dollars) reaching $15.0 trillion (current dollars) in 2011. The value of US financial stock markets (total value of stock market capitalization) grew 125.2 times between 1950-2010 to reach an estimated $17.1 trillion in 2010. The total amounts of debt outstanding in the US grew by 127.3 times. Figure 4 also shows estimates of the US Genuine Progress Indicator: An alternative monetary measure of economic progress and well-being that nets out social and environmental costs from the GDP, adds other values such as the value of unpaid time (e.g. volunteerism), and adjusts GDP for changes in income inequality (as a proxy for the cost of inequity in society to social cohesion). 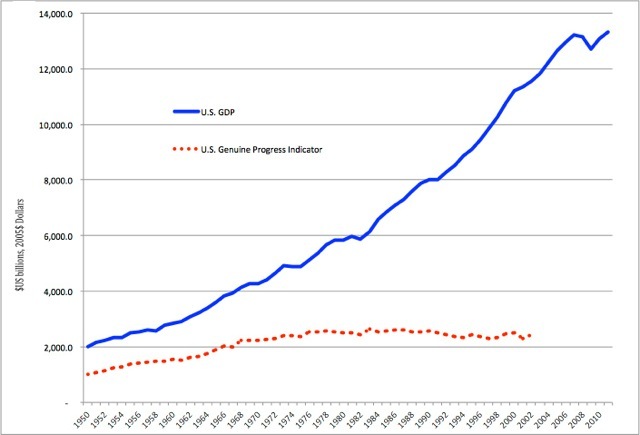 Figure 4 contrasts the trends in the US GDP, in constant 2005 dollars, with the US GPI (2005$); with 2002 being the last year the US GPI was updated by Redefining Progress (an Oakland-based economic think tank that no longer exists). The graphic shows that while real GDP increased 5.76 times (1950-2002), the US GPI increased only 2.4 times. The US GPI actually peaked in 1983 and has since declined slowly. Most striking are the estimates of the cost of environmental degradation – including the cost of environmental pollution, the loss (depreciation) of natural capital assets, and unsustainable resource development – derived from the US GPI analysis. In the last 2002 GPI estimates, environmental depreciation costs (currently treated as positive additions to US GDP) were estimated at $4.4 trillion; this represented an incredible 42% of the value of US GDP in 2002 (which was $10.642 trillion in current dollars). What is clear from these statistics is that the real economy – including the value of benefits from human, social and natural capital assets – has been cannibalized and sacrificed in the interest of supporting the speculative financial economy of stock markets and the debt-money system. This presents the image of a cancer cell rather than a healthy, flourishing and resilient one. Real assets are being wasted and their depreciation goes unaccounted for in our conventional statistics. Plainly the exponential growth demanded by our debt-money cannot be maintained over time in the real economy; eventually the living capital host will die or go bankrupt. This one graphic captures the entire economic system of economic growth, debt-money expansion and the erosion of the real economy. The graphic and analysis give credence to Herman Daly’s position that the economy has to keep growing simply to service the interest obligations on a growing and unsustainable mountain of debt-money, created by loans and credit (the vast majority by banks). Such a system can never support an economy that would be defined by material sufficiency, enduring happiness and maintaining a broad suite of well-being conditions for a good life. Without restructuring the debt-money system entirely, so that money is not created as a debt against genuine wealth of nations, there cannot be any hope of developing new economies of well-being. Nature operates in a manner that is continuously moving towards a state of resilience and homeostasis. 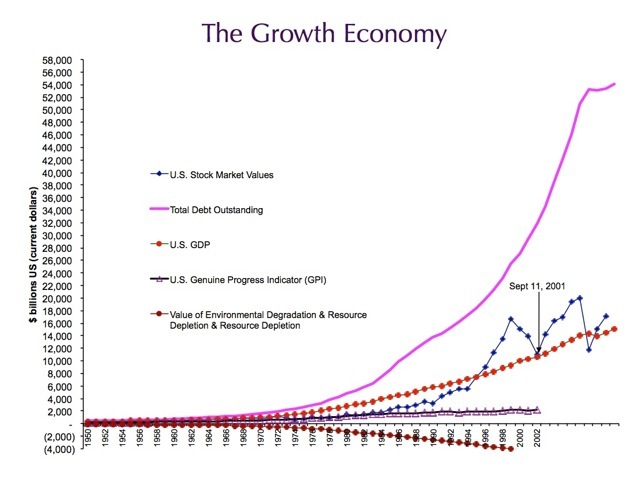 Exponential growth (as measured by continually rising GDP), that is the hallmark of a debt-money system, as a result of the power of compounding interest, is incongruent with ecological economic principles which sees the economy as limited and bounded by the laws of nature and physics. From an ecological economics perspective the debt-based money system is incompatible with supporting a steady-state economy grounded in ecological principles of homeostasis and resilience. The debt-based economic system is akin to a cancer cell that will eventually destroy the very host (living capital) that has given it life. Frederick Soddy, the 1921 Nobel Laureate in physics, pointed out as much in his seminal work Wealth, Virtual Wealth and Debt: The solution of the economic paradox (George Allen & Unwin, 1926). The money system thus fails to value the real wealth in an economy, mainly because debt-money creation is incongruent with natural systems that have no exponential growth characteristics. Frederick Soddy noted that money represents a claim against real wealth or what we might call life capital — human, social and natural. Soddy wrote that “wealth is the positive quantity to be measured and money as the claim to wealth is a debt, a quantity of wealth owed to but not owned by the owner of the money.” Soddy wrote that financial debts grew exponentially at compound interest but the real economy was based on exhaustible stocks of fossil fuels. 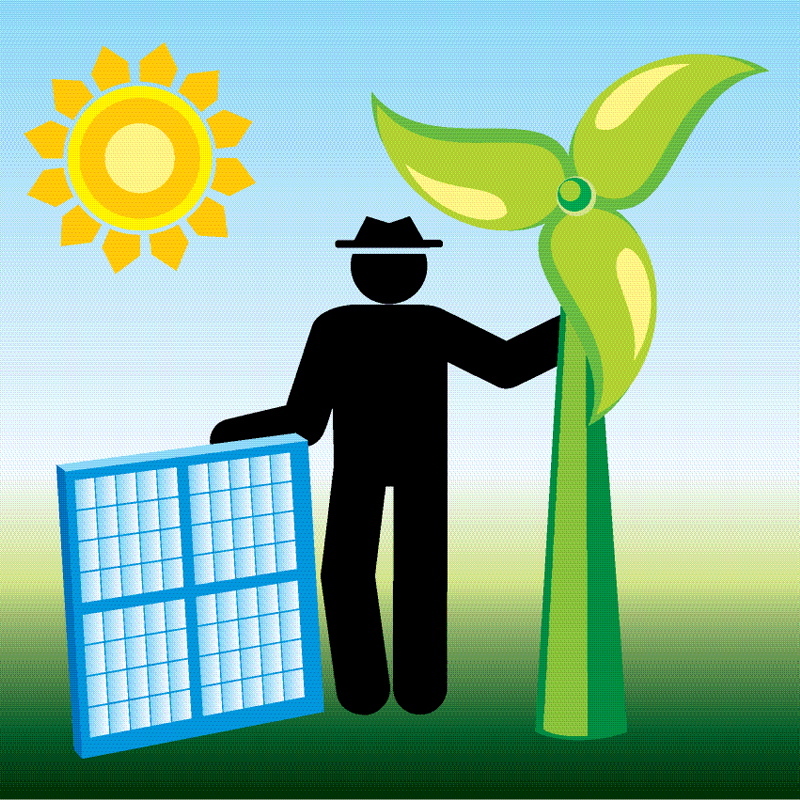 Energy obtained from the fossil fuels could not be used again. His intellectual heirs in the now emergent field of ecological economic later echoed this criticism of economic growth. Herman Daly supports Soddy’s contentions noting that “the fundamental error in economics is the confusion of wealth, a magnitude with a physical, irreducible dimension, with debt, a purely mathematical or imaginary quantity.” Because a human being cannot alone amass the physical requirements to survive, he or she converts non-storable surplus of capital into a lien against future income (“future sunlight” in Frederick Soddy’s words). We trade money today for the right to consume tomorrow. Therein lies the great paradox about economic growth, export-import trade regimes and debt-based money systems. Firms and households are caught in a perpetual motion machine required to produce more output and trade their labor (life’s energy) to repay debts which are mathematically unrepayable. Even if firms and households wished to pursue sustainable living or voluntary simplicity, the burden of debt precludes them from pursuing such desired outcomes. Debt-based money is the lifeblood of the economy, and the banking system is its heart. Without debt money expansion, the entire system would collapse. What if the creation of money mimicked a forest ecosystem? What is the equivalent of money in nature, as a medium of exchange? What if the creation of money were governed by similar principles of natural ecosystems, which are always trying to move towards a state of resilience and homeostasis? Could central banks and state/regional banks operate on the principles espoused by ecological economics? My proposal shows how this is possible. The vast majority of money in the national and global economy is debt-money literally created out of nothing when a private bank issues a mortgage, a student loan or a business loan or the government prints money and issues a government debt bond. This means that citizens and governments are left out of the potentially significant benefit of minting coins and printing currency at a miniscule cost to taxpayers. Instead, we collectively pay interest on all that we buy and sell and on a growing mountain of debt that was initially created by private bank corporations and held widely by individuals and businesses. This debt-based system of money is a recent phenomenon in human history. In ancient times money took the form of cattle (our word “pecuniary” comes from the Latin word for cattle, pecus), shells (e.g. the kauri shell used from China, to New Zealand and by North American indigenous peoples) or other tokens used in the barter or exchange economy to pay for goods and services (the word pay is from the Latin pacare meaning to pacify, to appease, to make peace). In hunting and gathering cultures, food and practical items for living were exchanged in ceremonies like the potlatch (a ceremony of gifting from one family to another; a form of thanksgiving). Eventually money took the form of gold coins; gold was chosen as a medium of exchange because it was incorruptible, scarce, precious, beautiful and useful for making jewelry. There was a time when money was created or issued by the Sovereign (King or Queen) or the Government (Crown), as the basis of paying taxes and as a medium of exchange, not as a store of value. The reigning monarch issued money in the form of notes and coins based on his or her perceived needs of the community and legitimized the money with a portrait. Throughout much of England’s history, for example, there was no debt; instead “tally sticks” were used as the medium of exchange. England used the tally stick as money until 1826; this period in English economic history was one of its most stable. Money was created without debt and thus without a cost to the people. Until modern times “money” had to be a scarce good, something of real or inherent value, or backed up by something valuable like gold or silver. This changed with the emergence of fiat currencies and then credit financing. Fiat money creation meant that governments could print money without regard to any limiting factors. Benjamin Franklin (1706-1790), who spent several years in England studying their banking system, came to the conclusion that the English colonies in North America could issue their own money (Colonial Script) in proper proportion to make goods pass easily from producers to consumers. In this manner the colonies controlled both the creation and purchasing power of money with no interest charges paid to English bankers. England countered by issuing laws that forbid the colonies from issuing their own money. According to Franklin this was the real cause of the American revolutionary war. Over time fiat money created free of charge by governments was replaced by credit money created by private banks. Credit money is a by-product of lending and borrowing money. While strictly speaking debt is not money because debt is not a unit of account, issuing loans or debt-instruments has become the dominant form of money creation in our modern economies. The current debt-money system creates money without any relationship with real wealth or tangible assets. We know this because the US Federal Reserve or the Bank of England or Bank of Canada operate without any balance sheet for the nation that would account for the physical conditions of the human, social, natural, and built capital assets. Neither are decisions to expand the money supply by issuing more debt connected to goals for ensuring sufficiency of material needs and improving the happiness and well-being of the people of the nation. In other words the creation of money in our current system is divorced from what makes life worthwhile and reality. What about inflation? The prevailing view in mainstream economics is that inflation is caused by the interaction of the supply of money with output and interest rates that results in a rise in the general level of prices, as measured against some baseline of purchasing power. It means that there is too little money available to chase the goods available resulting in an increase what people will pay for these goods. Margarit Kennedy explains that the role of inflation in our economic system is misunderstood and is not natural at all. She notes that inflation is just another form of taxation, which governments use to overcome the worst problems of an increasing interest burden. When governments print money to reduce their debts inflation results. I have also challenged the conventional definition of inflation: If most money is created in the form of a debt or loan by private banks, inflation is really an increase in money supply through the issuance of debt. It is not physical assets, labor or natural resources, which are inherently scarce, but rather it is money, which is made artificially scarce. Who has the power to create the money? The power to create money no longer resides with us but rather is increasingly concentrated in the hands of a few private banks that issue loans (debt-money creation) and then charge interest (making money from money) using the common banking practice called fractional reserve banking. Banks issue more money, in the form of loans to customers, than they hold in their reserves. As a result financial wealth becomes increasingly concentrated in the hands of an elite few. As Congressman Paul describes, the US Fed literally controls the life blood of the nation by carefully adjusting money supply through its interest rate policies. The Fed unabashedly admits that it purposely tries to maintain the scarcity of money; “Money… derives its value from its scarcity in relation to its usefulness.” In other words the Fed maintains a system that is based on the myth of scarcity. Yet while the Fed would appear to have the ultimate power over monetary policy and thus money creation it only contributes about 2% to the creation of the US money supply. It is the private banks that, pursuant to fractional reserve banking authorized by the Federal Reserve Act of 1913, make or create-from-nothing-for-their-private-profit the other roughly 98% of the US money supply. The Fed is thus simply a quasi-governmental central organizing body behind which the real private banking money-creation system operates. Fractional reserve banking is the practice of issuing paper notes in amounts, which exceed the value of the stores of gold, silver or other inherently valuable assets they represent. This means that private banks that exceed the value or even physical asset, which supports the loan, can issue loans. In the United States as in most other nations, issuing paper money in parallel with gold reserves became too limiting. In 1971 US President Richard Nixon relaxed the need to tie money creation to US gold reserves effectively allowing unlimited amounts of debt-money to be created. As Frederick Soddy noted “Money now is nothing you get from something before you can get anything.” Today, as former Canadian Bank of Canada Governor Graham Towers noted, new money is created with each new loan or credit private banks create through simple book-keeping entries, backed by no real assets. It is like magic. There is effectively no limit to how much debt-money can be created; the only limit is the capacity for the economy as a whole to service the growing and unrepayable mountain of debt from the cumulative amount of all loans and credit created (i.e. 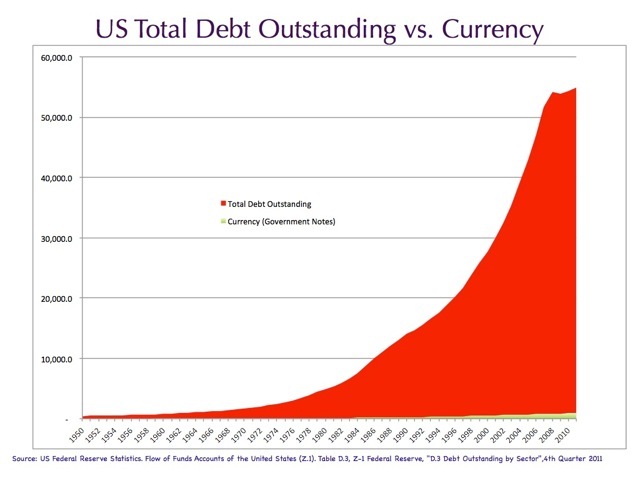 the total outstanding debt). The power to create money was not always in the hands of private banks. The founding fathers of the US understand the importance of maintaining the power of money creation in public hands. Could the power to create money ever be restored to the people to serve again as a medium of exchange and to facilitate the maintenance of a well-being economy? But who has the wisdom and courage to do so? It would appear that the current global political leadership has neither the imagination nor courage to develop an alternative system to debt-money that would be the greatest detour in human history. 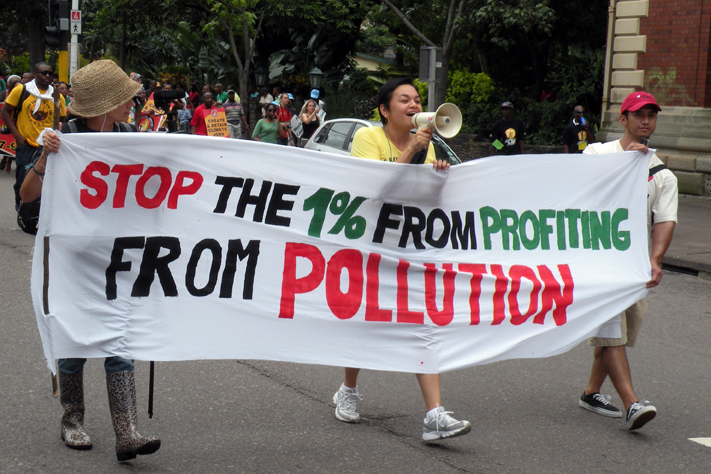 It stands to reason that there are powerful vested interests in maintaining the current system even if it means the destruction of their own system and a pandemic of human and ecological suffering. Not to imagine, dream and act on an alternative system of money creation that is possible is akin to committing humanity to a protracted living debt-hell. Surely there must be an alternative to creating money through debt, charging interest on these loans, exponential and unsustainable economic growth, leaving the power over debt-money creation in a few private banking hands and as a consequence leading to the destruction of the very genuine wealth that contributes to societal well-being. I have examined these opportunities since that meeting in 2000 with Herman Daly and have come to appreciate the many alternative solutions to the current debt-money system. The fundamental barrier to introducing these changes is a societal ignorance of the nature of money creation (including bankers themselves) and the reluctance by those who work in the financial system, including economists, to change the system to a more sane and sustainable one. Some of these alternative solutions have been articulated clearly by Ellen Brown, Magrit Kennedy, Bernard Leitaer, David Korten and others. Many of the solutions can be found in the words of the founding fathers and mothers of America, especially Benjamin Franklin, Thomas Jefferson and Abraham Lincoln. If I were able to convene a global congress of the future of money I would propose a number of solutions to our debt crisis. Could we live without debt-money? Is there another way to create money in parallel with what every human being longs for: A meaningful and good life? First, I would call for a global debt Jubilee; the forgiveness of all outstanding debts around the world. I would expect all of the major Abrahamic religions to support such a motion, consistent with ancient Jewish economic ethics of Sabbath and debt Jubilee (every 7 x 7 = 49 years) and with current Islamic teachings that forbid Muslims to pay and charge interest on money. It would mean that the Catholic Church, in harmony with other Christian denominations, renew its teachings against usury that the Church effectively abandoned in the 19th Century. There would be a renewed appreciation of the injustice of usury based on the wisdom of the Catholic theologian Thomas Aquinas — “To take interest for money lent is unjust in itself, because this is to sell what does not exist, and this evidently leads to inequality, which is contrary to justice. Now, money was invented chiefly for the purpose of exchange. Hence, it is by its very nature unlawful to take payment for the use of money lent, which payment is known as interest.” And Aristotle’s words: “The trade of the petty usurer is hated with most reason: It makes a profit from currency itself, instead of making it from the process which currency was meant to serve. Their common characteristic is obviously their sordid avarice.” We would again ponder the wisdom of Plato who said “There must be no lending at interest.” We might also ponder the words of Jesus Christ when he gave the world the Lord’s Prayer: And forgive us our debts, as we forgive our debtors (Matthew 6:12). Humanity will come to realize that money is a social construct created out of our collective imagination. We will come to realize that the interest-based monetary system is not natural in terms of how nature functions. Because it is an artificial construct designed by human beings, we have the power to redesign money so that it serves our collective pursuit of happiness and well-being. Empowered with the evidence the injustice and damage that usury has caused humanity and the world’s ecosystems, the Catholic Church along with other Christian Churches, Muslims, Jews, Buddhists and other faiths would unite in common virtuous action in the design of an alternative system of money creation to serve humanity’s collective desire for a good life. Rebooting the global money computer and eliminating all debt obligations would have to be a common act of volition confident that a new, more stable economic and monetary system is possible. All of humanity would be on the same level playing field. 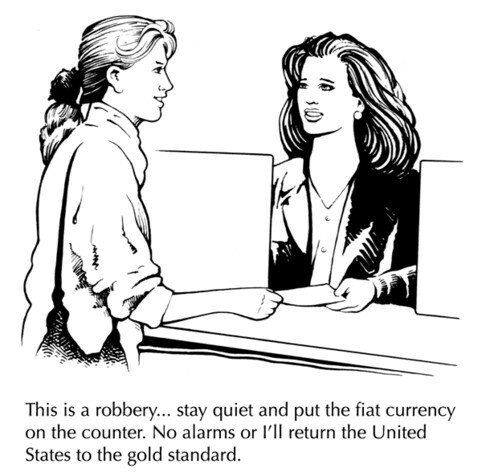 Second, fractional reserve banking should be eliminated. If compound interest is usury on caffeine, then fractional reserve banking is compound interest on steroids: It is the secret core, it is hidden in the center of a spider’s web of obscurity and complex laws. Fractional reserve banking can be shown to be the enemy of well-being; it is no longer necessary in the absence of interest. If the root of the problem of debt and economic growth is money creation as fractional reserve banking and loans created out of thin-air, then we would simply re-purpose and re-charter the banks to operate differently providing important financial stewardship services and supporting wise management of money in support of an economy of well-being. One such example is the JAK Members Bank in Sweden, which has voluntarily chosen to operate without charging interest on loans or paying interest on deposits; the benefits of interest expenditures saved accrue to all of its members in this cooperative bank that has been operating for over 40 years. The social license to operate of all banks would be restructured so that they would serve to support investment and maintenance of the genuine wealth assets of communities and nations. Eliminating the expectation of interest as a return on financial capital would alleviate the pressure in the current system that gives the economy a growth bias. There is simply no need for interest charges on debts. Economists would come to appreciate that interest is no longer a fundamental paradigm that they are forced to accept. Without the need or expectation of interest as a form of income there is no inflation in this system as money is created in sufficient supply to facilitate the sustainable management of all five capitals of genuine wealth at various governance scales: National, state/provincial, municipal. Ideally the geographic scale should be at the sub-basin watershed level. This would require a reformed central banking system throughout the world. It would require that all private banks maintain a 100% reserve against their member deposits, eliminating the fractional reserve system that currently leads to compounded mountains of unrepayable debt. Depression-era economist Irving Fisher (author of 100% Money) was also a strong advocate for 100% government-created, debt-free money. Fisher believed that private banks should be precluded from creating and destroying money as they currently do by lending money into existence. This would be consistent with what Thomas Jefferson envisioned. Private banks could be left to receive deposits and make loans and charge fees for their services on a full 100% reserve basis so that they do not create any money as debt. It means that the power over money creation return back to the commonwealth, to res publica (a public matter) or the people through their government. These changes would fundamentally alter the current disordered usurious system. Soddy envisioned a monetary system that was connected with real wealth to eliminate the current obfuscation prevalent in the debt-money world. What Soddy advocated was money creation that was tied to the physical laws of nature (e.g. laws of thermodynamics) and the real wealth of communities including natural capital. Soddy noted that the “acid test (for such a monetary system) is that no monetary accountancy be allowed that could not be done equally well by physical counters.” Money creation would then be tied to the sustained well-being of all living capital, no longer disconnected from that which makes life worthwhile and no longer leading to the unwitting destruction of real wealth. Soddy’s ideas could be implemented particularly with the use of emerging well-being indices (e.g. 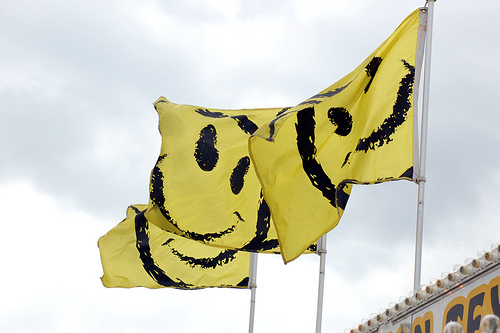 Gross National Happiness, the Canadian Index of Well-being, the Genuine Progress Index) to guide decisions about the volume of money required to improve or maintain well-being and ecological health. In addition, fundamental reforms to the US Federal Reserve Act would be necessary; some might believe that the Federal Reserve (which is not federal in terms of government-run) should be turned into a public institution accountable to Congress alone, not to private shareholders as is the case with the US Fed. Money is the creature of law, and the creation of the original issue of money should be maintained as the exclusive monopoly of national government…The monetary needs of increasing numbers of people advancing towards higher standards of living can and should be met by the government. Such needs can be met by the issue of national currency and credit through the operation of a national banking system. The circulation of a medium of exchange issued and backed by the government can be properly regulated and redundancy of issue avoided by withdrawing from circulation such amounts as may be necessary by taxation, re-deposit and otherwise. Government, possessing the power to create and issue currency and credit as money…need not and should not borrow capital at interest….The financing of all public enterprises, the maintenance of stable government and ordered progress [my emphasis], and the conduct of the Treasury will become matters of practical administration…Money will cease to be the master and become the servant of humanity. Democracy will rise superior to the money power. To restore confidence in and governmental control over money and credit, to stabilize the money supply and price level, to establish full reserve banking, to prohibit fractional reserve banking, to retire the national debt, to repeal conflicting Acts, to withdraw from international banks, to restore political accountability for monetary policy, and to remove the causes of economic depressions, without additional taxation, inflation or deflation, and for other purposes. Carmack has provided a legal framework for ending of usury in the United States. Economist and Nobel Laureate Milton Friedman was sympathetic to Carmack’s proposal. Third, who should create the money? The power of creating money would be returned to the power and overview of the people of the communities and nations for which money, as a medium of exchange, belongs. This would be consistent with what Thomas Jefferson and Abraham Lincoln envisaged. Adopting Lincoln’s model would require major structural reforms to the nature and operations of central banks, the Bank for International Settlements, the IMF and other financial institutions. 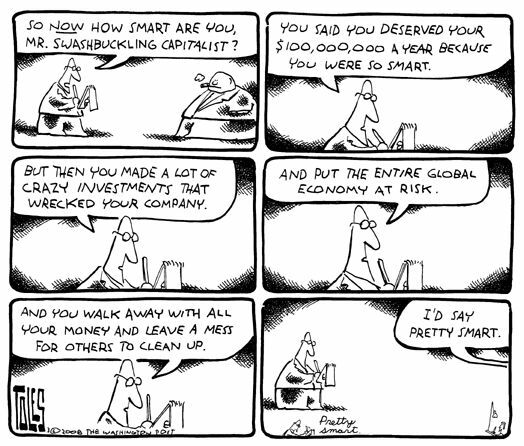 Their mission would be reoriented towards building economies of well-being, sustaining the five capital assets of genuine wealth within and across nations, oversight of the trade in the comparative genuine wealth advantages of nations (rather than the current global trade model that moves goods and services across oceans and continents inefficiently and at the expense of both natural capital and human and social capital). These institutions would complain that such structural reforms are unnecessary and that a system of managing the ‘genuine wealth’ accounts of nations would be too complex. Such claims should be directly challenged and the onus placed on these institutions to demonstrate genuine value from their services. Fourth: How would money be created? 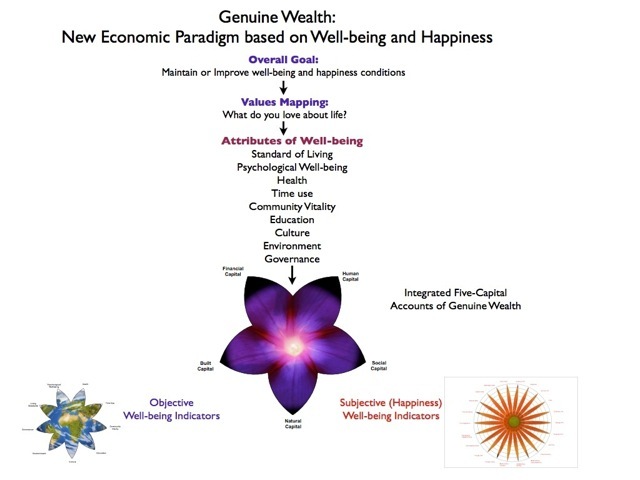 In this new system of Genuine Wealth (see figure 5), money should be created in parallel with genuine wealth assets, which are linked to the values of people in community, the known attributes of well-being (as articulated in Bhutan’s Gross National Happiness framework), and in harmony with nature. The goal of this system is to ensure that each citizen has the essential elements for a good life; sufficiency of basic needs. Money creation would also be governed by a Genuine Wealth accounting and management system, based on regular inventory and analysis of the conditions of the human, social/cultural, natural and built capital asset of a community. The key focus is on the resilience of these five capital assets of Genuine Wealth. Risks or liabilities to well-being would be constantly monitored. In addition, the ecological integrity and bio-capacity of ecosystems would be carefully monitored and resource and land use decisions calibrated accordingly to ensure the resilience of ecosystem services and sustained natural capital benefits. The fundamental question at play at all times would be: What do we want money to do for us? The answer to the question would be found in examining the state of Genuine Wealth, to maintain the integrity and resilience of the genuine wealth of a community, watershed or region, including the happiness of the people in a community. All decisions, policies and budgeting would be made according to a set of the five-capital asset Genuine Wealth accounts. A number of approaches to creating sufficient liquidity or money supply would be available including Genuine Wealth ‘bonds’, regional currencies (backed by Genuine Wealth), local interest-free micro-loans to support local entrepreneurs, businesses, students (see Figure 6). Again, money would be directly connected with the needs, goals and aspirations for well-being and happiness as defined by the people living in the community as a whole. Money would be created in sufficient supply to maintain the resilience of the five capital assets of genuine wealth, in harmony with nature’s capacity to flourish and maintain integrity. Money can be created without attaching interest charges, though costs to maintain this new Genuine Wealth monetary system would be recovered with genuine service fees. This system would require a robust inventory of these various assets, measuring their integrity, potential utility and long-term resilience; particularly when it comes to natural capital. In addition the attributes of a steady-state economy would be incorporated into the governance model. Money would better represent the unique and genuine value, aligned with the skills, capacities and aspirations of people in a community; unique to each culture and geography (e.g. by watershed or other geographic boundaries that make sense to an ecosystem). This is similar to how the Aboriginal peoples of the Great Plains in Canada and the US used the kauri shell (that came from the Maori in New Zealand) to represent ‘value’ of certain important commodities of utility to these cultures. Or how the British used the Tally Sticks as a stable form of money for hundreds of years before the fractional reserve system of the Bank of England was introduced. The Genuine Wealth management system (Figure 5) would be supported by the information contained in the Genuine Wealth accounts (a plethora of quantitative, qualitative, and subjective indicators of well-being and happiness), plus the use of advanced analytic tools (to measure the interrelationship between various aspects of well-being in the five-capital accounts), visualization techniques (for presenting the information) and supported by narratives on any number of attributes of well-being, happiness and knowledge of ecosystems. Future new money would be created in parallel with the needs of people for a good life (respective of cultural values and ecosystems) and in relationship with the real assets that support quality of life. Investments in building capacity in various Genuine Wealth asset classes would be facilitated to issuing new liquidity, such as funds to support entrepreneurialism and the exploration of new solutions to emerging challenges that may threaten future well-being. 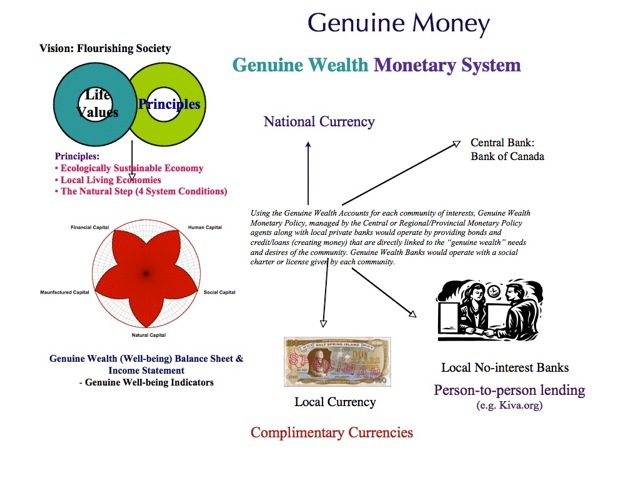 While money creation should be tied as closely as possible to support local living economies, there will be need for regional and national Genuine Wealth currencies and monetary authorities to ensure that the trade in comparative genuine wealth ‘advantages’ is possible to help in the distribution of real wealth to serve the needs for a good life. There are many positive entrepreneurial systems being developed as alternatives to debt-money including the creation of complementary currencies (e.g. the WIR system in Switzerland; a parallel currency that exists alongside the national currency), local currencies, local ethical investing, interest-free person-to-person lending (e.g. Kiva.org), micro-financing (e.g. Grameen Bank), interest-free banking (e.g. the Swedish JAK cooperative members bank that does not charge interest on loans), and a new movement towards ethical banking by some leading credit unions from around the world. While these efforts are important signs of hope — they are insufficient. In the absence of a global restructuring of the debt-money system, these heroic efforts will also be lost in the wake of the sinking of the debt-based Titanic. The biggest opportunity lies in the creation of regional money systems or regional currencies that would build strength, diversity and resilience of regional economies capitalizing of the unique regional capital assets. These regional money systems provide the best hope against future system collapse, just as diversity in healthy ecosystems. Fifth, decision-making and governance would be made based on citizen representatives, supported by experts in taking inventory and measuring well-being (economists, biologists, engineers, sociologists, psychologists, medical doctor, anthropologists, etc.). Other disciplines would complement a new and genuine economics discipline that will be refocused on the original Greek understanding of economy (oikos-nomia) or concern with household management. Governance decisions would also be based on fundamental understanding of the determinants of happiness and well-being from psychologists and sociologists. The decisions to create money would be linked to ecological principles and attempt to be in harmony with the natural ecosystem life-cycles of nature; such that genuine bio-mimicry is possible. This would allow for a careful calibration of the money supply; to increase or decrease the supply in effective proportion to meet a populations’ basic needs (a guaranteed basket of basic needs) while allowing for innovation, pioneering and entrepreneurialism. 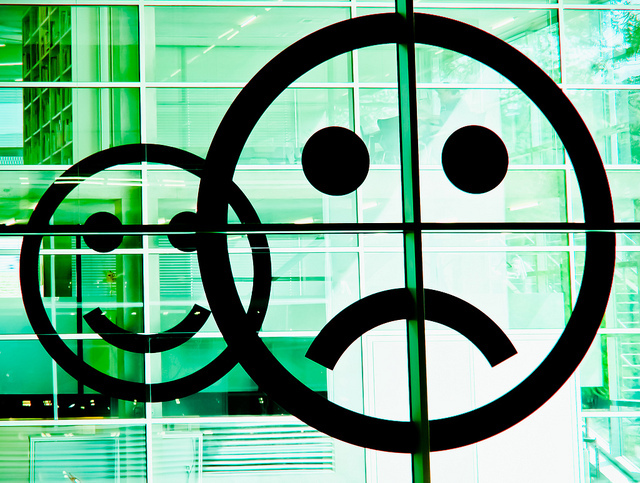 Sixth, progress would be measured by new indicators of progress that relate to well-being. A new approach to measuring the Well-being Returns on Investment (WROI) would be introduced. The measure of ‘return’ would be defined in terms of changes in objective and subjective attributes of well-being and happiness. Bhutan’s Gross National Happiness framework and policy that shifts the attention from GDP growth to well-being, is a great starting point for experimenting with the Genuine Wealth monetary system. The focus would be on investing in building and enhancing human, social, natural and built capital assets, while reducing liabilities or risks to well-being and ensuring a fair and equitable distribution to genuine wealth within and across communities. There are obvious and enormous compelling benefits from such a new system of money creation and genuine wealth management. Humanity would be free of the debt slavery that has so long hindered genuine progress and the true pursuit of a good and happy life. People would no longer be concerned about lack of money in the future; in their old age. The scarcity of money would be eliminated; instead the true abundance found in nature would be fully realized in that money can be created in amounts sufficient to finance a good life. It is almost 100 years to the day that the great ship Titanic struck an iceberg in the Atlantic and quickly sank. 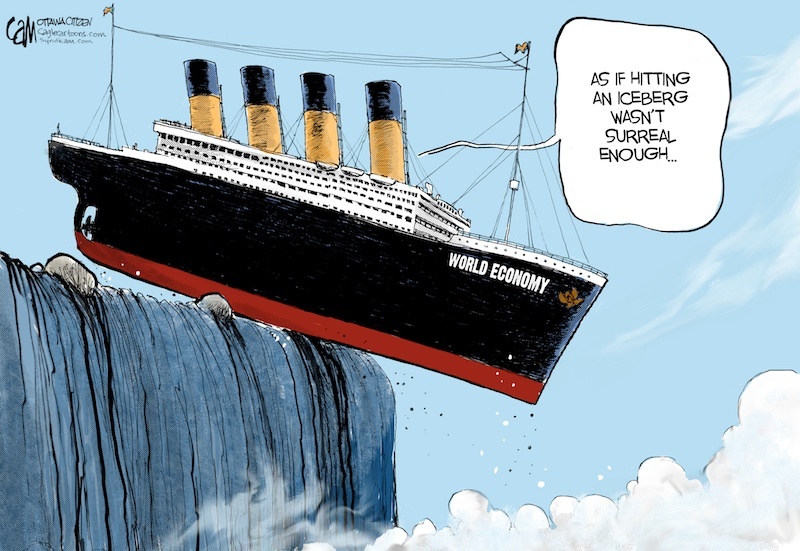 The story of the sinking of the Titanic is a perfect metaphor for the sinking of the global debt money system. Like the Titanic, the titans of finance continue to dance to the music, taking on greater and greater risks in spite of knowing that the music won’t play for much longer, as the engine room has taken on considerable water. The same hubris of those who commissioned and sailed the Titanic can be found in the captains of finance and banking today. It is time for those economists and others aware of the failings of the current system of debt-money to begin to build more nimble and alternative ‘sailing boats’ that will bring about a new era in money, banking and economy based on what we all desire: Happiness and well-being. Having experienced George Soros’s lukewarm reception to my initial proposal, I am under no illusion that those who currently control the issuance of credit (debt money) have any interest in relinquishing control over the system, even if they are fully aware that the system is doomed to collapse (like the Titanic), even if simply under the weight of its own mathematical load. The current captains of capitalism and the modern money trusts are too wedded to their Titanic even if we showed them a more compelling and prudent alternative. The key question now is whether a full scale debt collapse and financial tidal wave can be avoided in our attempt to transition to a new economic paradigm of well-being and happiness. Many positive efforts are underway, including the Bhutanese efforts at advancing Gross National Happiness as an alternative economic paradigm. New measurement systems are being developed to measure more than GDP, including the Genuine Progress Indicator, the Canadian Index of Well-being, Green GDP and other alternative systems for measuring progress. Most importantly are average Americans, Canadians and Europeans prepared to make the difficult transition away from a legacy of interest income, monetary returns on investments, and the importance money has played in their lives? This will not be an easy transition because it requires a collective global commitment. It is time to move forward with a compelling and practical alternative to the debt-money system that has dominated humanity for centuries. The costs to the human spirit from unsustainable levels of debt and the interest costs born by all of humanity, imbedded in the prices of basic needs, is unjust and unacceptable considering that genuine alternatives to debt-money economics exist. Moreover, given the evidence that the global monetary Titanic’s engine rooms is swamped with water and the dire condition of the current debt-money system, it is time for an honest conversation about alternatives to the old system. The potential benefits of a new Genuine Wealth system that would support the governance of a new economic paradigm based on well-being and happiness (as was recently proposed in the April 2, 2012 meeting at the United Nations led by Bhutan) for the genuine benefit of all of humanity are clear and compelling. There is no logical reason not to proceed with building this new economy of well-being including the redesign of the nature of money. I see us free, therefore, to return to some of the most sure and certain principles of religion and traditional virtue that avarice is a vice, that the exaction of usury is a misdemeanor, and the love of money is detestable, that those walk most truly in the paths of virtue and sane wisdom who take least thought for the morrow. We shall once more value ends above means and prefer the good to the useful. We shall honor those who can teach us how to pluck the hour and the day virtuously and well, the delightful people who are capable of taking direct enjoyment in things, the lilies of the field who toil not, neither do they spin. But beware! The time for all this is not yet. For at least another hundred years we must pretend to ourselves and to every one that fair is foul and foul is fair; for foul is useful and fair is not. Avarice and usury and precaution must be our gods for a little longer still. For only they can lead us out of the tunnel of economic necessity into daylight. Keynes challenges us to act with virtue. This will require a clear repudiation of usury as a misdemeanor against the hope and possibility of a good life for all humanity. 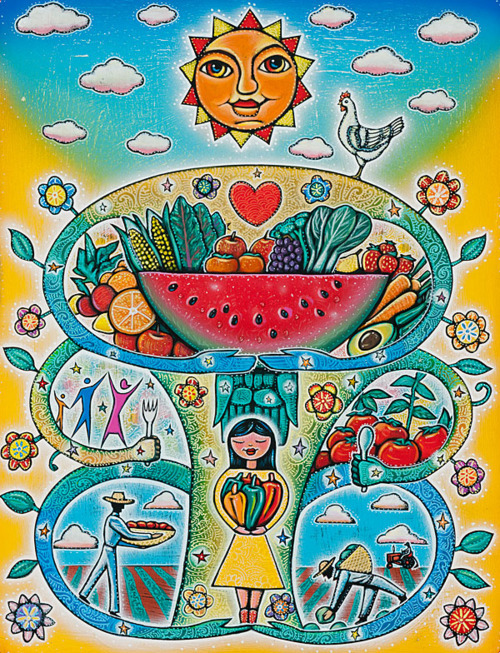 This will require virtuous and courageous action by our leading economists and enlightened leaders to co-create a new system of money, a new system of genuine wealth accounts to guide decisions, and new measures of progress that align with the values and human longing for happiness, joy and love. The creation of a debt-free money system is paramount. The benefits of an alternative debt-free money system are clear. The liberation of untold human spirit, time and energy to build flourishing and joyful lives and communities is possible with the elimination of interest costs in the economic equation. 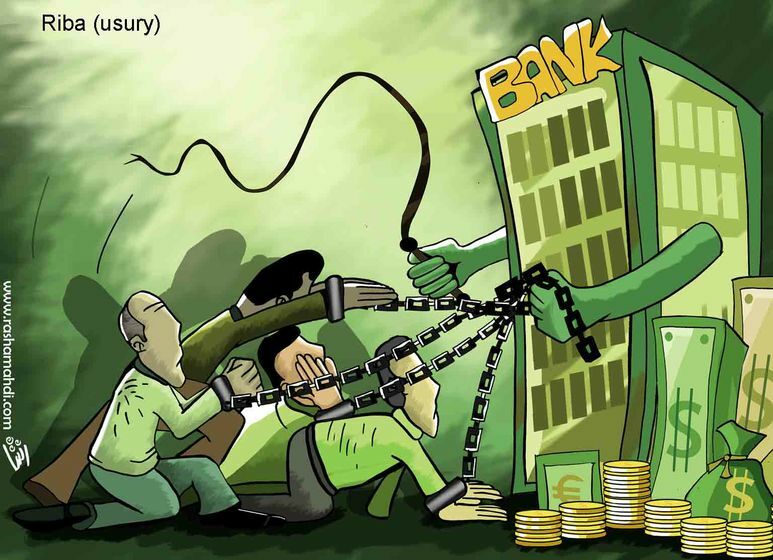 Meanwhile, the debt money system is destroying natural assets by driving demand for over production, over consumption, excess trade of goods and services and excessive use of energy resources. This is both inefficient and unnecessary. Imagine if 25% (the potential savings from eliminating interest costs from GDP) of the global available income was freed up for us to pursue lives of meaning and sustainable living? My guess is that most of the current crisis we experience in the world, which are tied to the illusion of money scarcity, will evaporate. This would include climate change. Not to act with virtue now is to risk the loss of hope of millions. The power of a dream is important. The courage to declare the dream is the first step towards its reality being manifest. The construction of a new system of finance is now possible. Let us get on with building a more compelling economy of well-being where money is returned to its rightful place of facilitating exchange and helping to build genuine wealth. 1) The world we all want is one where there is a high quality of life for all humans and the rest of nature. This is consistent with the goals of the Earth Charter, the Millennium Development Goals (MDGs), and the emerging Sustainable Development Goals. Our vision recognizes that a fundamental human goal is the deep abiding happiness that comes from living life in full harmony with the natural world, with our communities, and with our cultural and spiritual heritage, and from knowing and trusting that our leaders care for the common good. 2) Achieving this vision requires a healthy balance among thriving natural, human, social and cultural assets, and adequate, well-functioning built assets. We recognize that these assets depend entirely on the natural world, and that natural capital is therefore ultimately non-substitutable. Sustainability therefore requires that we live off the interest generated by natural capital without depleting the capital itself. d) we respect and strengthen the cultural, community, health, knowledge, and spiritual foundations of our world to produce sustainable human happiness and well-being for all life forms. 4) We have never had greater global capacity, understanding, material abundance, and opportunities to achieve these objectives. This includes scientific knowledge, communications, technology, resources, productive potential, and ability to feed everyone on earth. We also have many successful examples of legislation, initiatives, and best practices at multiple scales on which to build. 5) However, we are not achieving the world we all want and indeed we are moving in the wrong direction at an increasing rate. For example, global greenhouse gas emissions continue to grow, humanity is using resources much faster than they can regenerate, biodiversity is diminishing rapidly, most global ecosystem services are in decline, inequality is growing, and political will is lacking. 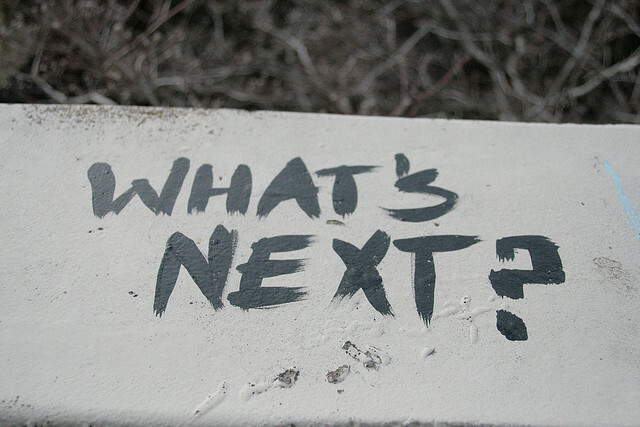 The United Nations has acknowledged that progress towards the MDGs has stalled. 6) “Business as usual” threatens the survival of humans and other species, and is no longer an option. 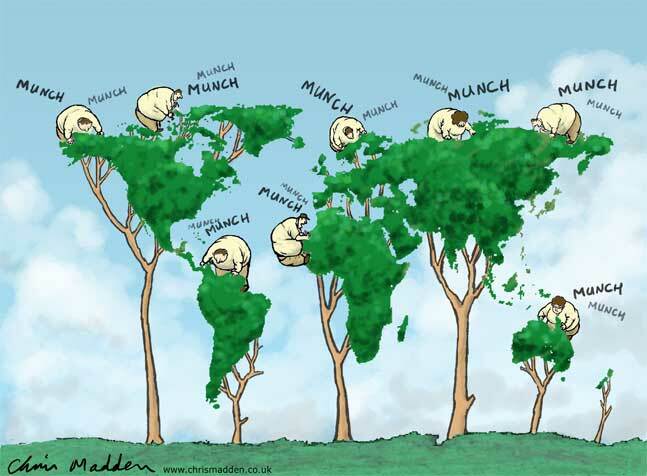 On a finite planet, excess consumption by high-income groups leaves less for others, and does not enhance human happiness and well-being. 7) Many of these dangerous trends are a result of our current, unsustainable, growth-based economic paradigm, which rests on flawed measures of progress. These measures largely ignore the value of natural and social capital and the distribution of wealth and income. They misleadingly count natural capital depletion and many human and social costs as economic gain. The architects of Gross Domestic Product (GDP) themselves counselled that GDP should never be used as a measure of welfare, as it incorrectly is today. The European Union, OECD, the Sarkozy-Stiglitz Commission, and many others have therefore recognised the need to find viable alternatives. 8) Unless we change the current economic paradigm, a fundamental cause of the current crises, we will never realize the world we all want. This paradigm, institutionalized at Bretton Woods in 1944, was devised prior to an understanding of (1) finite global resource limits and (2) the emerging science of well-being and happiness. — a redesign of the world economy that preserves natural systems essential to life and well-being and balances natural, social, human, and built assets. This redesign includes reclaiming the broad definition and goals of economics as the science, management, and well-being of our global household. — developing linked policies to stabilize population and reduce consumption. — creating fulfilling employment for all, with a better work-life balance. — ensuring access to and sharing of the information required to move to a sustainable economy. — promoting vibrant, critical, creative, and responsible media. 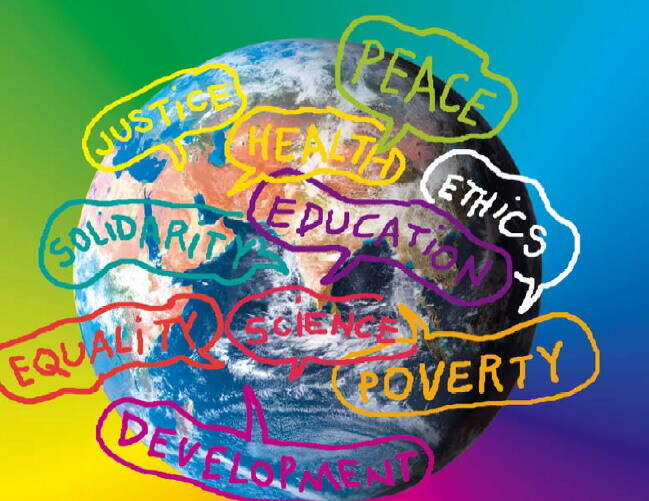 We make these commitments to strengthen and deepen the knowledge, political will, and action required to realize human happiness and the well-being of all life in the world we all want. John Kenneth Galbraith. Money: Whence It Came, Where It Went (Houghton Mifflin, 1975, p. 5). Unfortunately it is difficult to come up with a precise interest cost of the total amount of outstanding debt in the US from official statistics. Using a 5-year moving average US 10-year US Treasury bond-yield rate of 3.51% would suggest annual interest costs on $54.134 trillion of outstanding debt at $1.9 trillion in interest costs. Because actual interest charges are not officially reported as part of the federal government budget figures, a range of estimates based on reasonable interest rate assumptions was necessary. David. C. Korten. The Post-Corporate World: Life after Capitalism (Berrett-Koehler, 1999, p. 24). Michael Rowbotham. The Grip of Death: A Study of Modern Money, Debt Slavery and Destructive Economics (Jon Carpenter, 1998, p. 16). Quoted in Patrick Carmack and Bill Still (Video documentary: The Money Masters: How International Bankers Gained Control of America, 1998). a) Natural capital: The natural environment, its biodiversity, and the ecosystem goods and services they provide. These goods and services are essential to basic needs such as survival, climate regulation, habitat for other species, water supply, food, fibre, fuel, recreation, cultural amenities, and the raw materials required for all economic production. b) Social and cultural capital: The web of interpersonal connections, social networks, cultural heritage, traditional knowledge, trust, and the institutional arrangements, rules, norms and values that facilitate human interactions and cooperation between people. These contribute to social cohesion, strong, vibrant, and secure communities, and good governance, and help fulfill basic human needs such as participation, affection, and a sense of belonging. c) Human capital: Human beings and their attributes, including physical and mental health, knowledge, and other capacities that enable people to be productive members of society. This involves the balanced use of time to fulfill basic human needs such as fulfilling employment, spirituality, understanding, skills development, creativity, and freedom. d) Built capital: Buildings, machinery, transportation infrastructure, and all other human artifacts and services that fulfill basic human needs such as shelter, subsistence, mobility, and communications. Note: This paper was presented at Claremont Theological School in Claremont, CA (USA) in April 2012.